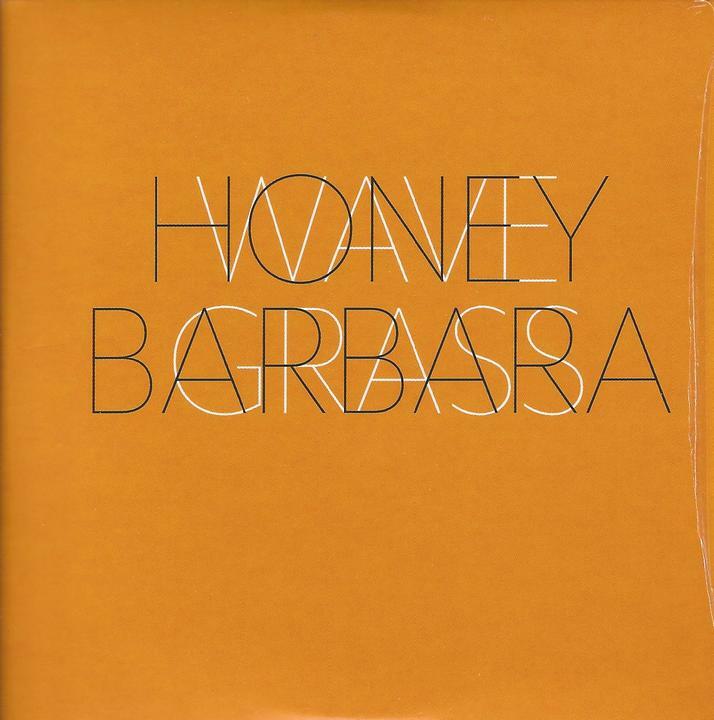 Though new to me, Honey Barbara have released two previous albums in 2001 and 1993, and core member James Sidlo has come to Aural Innovations in various projects over the years in such bands as Transcollaboration, Pseudo Buddha, Dreamland, and others I’m probably forgetting. There’s a lot happening on these 15 songs, which despite their accessibility are difficult to describe due to the cool and strange variety of styles and influences. A lot of the tracks would be right at home on various types of 60s movie soundtracks. Vivoras D’oro has a bouncy 60’s Beat-Pop feel and brings to mind a Henry Mancini score. Only one word can describe this tune – GROOVY! Other songs travel a similar path, some with a more Prog-like instrumental and compositional complexity and others with an ambient-soundscape vibe and, like Mystery Of The Plain, combine freaky electronic effects and groovy 60s doo-doo-doo vocalizations. The Magician’s Wife accomplishes a lot in only 2 minutes, sounding perfect for a Frankie and Annette beach movie, but it goes off into all kinds of Ambient-Jazz and Mancini with a Prog twist territory. We’ve got pleasant acoustic melodic tunes bordering on Exotica and melodic orchestrated tunes with a beautiful ambience and 60s vibe. I like the lysergically sultry Baobab, and really dig the mixture of 60s Beat-Pop and Exotica on Unseen Girl, with its Psychedelic vibe and nifty ambient guitar fills. And The Sea Will Give Up Its Dead is a standout, being a Prog-Psych vocal number with cool ripping fuzz guitar and effects, but also a deeply ambient quality. She Guides Us Toward The Sun is similar, being beautifully melodic and dreamily trippy (as are the lyrics) but also has a Prog Rock quality, though it’s very subtle and flowing. White Mountain is a dreamily melodic and pastoral Ambient-Psychedelic song with soaring trip guitar embellishments, beautifully playful piano melody, light electro orchestration and hypnotic vocals. And Late In The Day is psychedelically surreal, with moods that wander from playful to intense, plus film soundtrack Eastern vibes and spaced out orchestration and effects. In summary, and it’s tough to tidily summarize this album, but imagine Henry Mancini and Ennio Morricone dropping a tab or two and then rolling up their sleeves for a Prog-Psych soundtrack collaboration and you might… you just MIGHT… get something like Wave Grass.